Jamner Vela is a family man who lives in the Community of San Francisco, one of the more than 1200 indigenous communities located in Loreto region, Peru (Peruvian Amazon). As a traditional conservative man, he was used to doing the same activities every single day, and he liked that everything at home stayed the same: the food prepared and served on the table, his daughters helping their mom in the kitchen, his clothes and shoes clean, among other home tasks. Whenever his wife disobeyed him or did not do the home tasks, he just beat her. In his mind, this was his way to prove who is the master of the house. 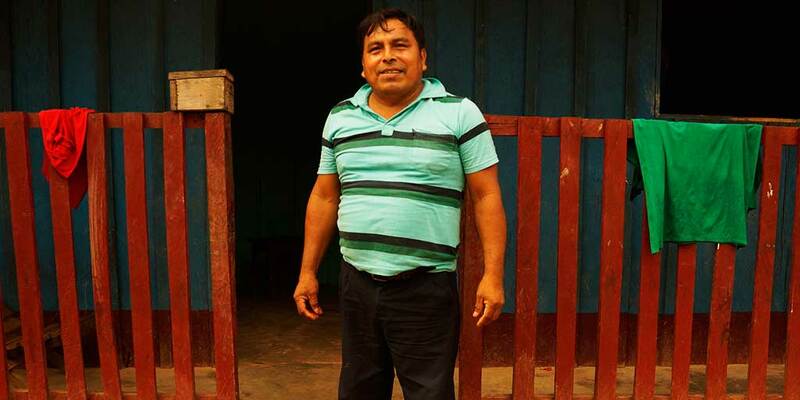 For Jamner, and for many men living in communities of the Peruvian Amazon, beating a woman was just normal. One day, in order to maintain the discipline at home, Jamner decided to force his daughters to stop going to school so they can help their mother with the home tasks full time. His wife was worried about his deliberate decision to take his daughters’ education away, so she decided to talk to him. But Jamner did not listen, and instead, he beat his wife even more for contradicting his decision. Frustrated and angry after the fight, Jamner went out of his house to look for his male friends. When he got to one of his friend’s house, he found something unusual: he saw his friend sitting next to his wife and children, listening together to a radio show called “Bienvenida Salud”. Seeing his friend interested in this radio show called Jamner’s attention immediately, which somehow motivated him to listen to it. The first time Jamner listened to “Bienvenida Salud” was also the first time he heard about domestic violence and gender equity — something that he was related to. It never crossed his mind to think that men and women are equal and that they deserve to have the same rights. Jamner was hooked by the content and the information provided in the radio show, so much that he would turn on his radio every time a new episode was broadcast. The more episodes he listened, the more he realized how badly he behaved with his own family. Before listening to “Bienvenida Salud”, he never thought that what he was doing with his wife was violence and that his wife’s opinions mattered too. He felt ashamed and angry at himself. That is when he started to behave differently at home. He stopped beating his wife, started helping her with the home tasks, and even encouraged his daughters to not miss any day at school. He decided to motivate his family to always speak up and teach them that every situation can be solved with communication. 13 years later, ever since Jamner started listening to “Bienvenida Salud”, he never beat his wife again. He now sees himself as a different and better man. Now, he always sits together with his family to listen to the radio show. He also writes and sends letters to the radio show telling how things have changed in his community, and how families are now living in a much safer environment, free from violence, where women and men are equal. He also writes letters encouraging adolescents to communicate with their parents, to speak openly about sexuality and family planning as he found in the radio a powerful communication tool to help future generations live a healthy and peaceful life. 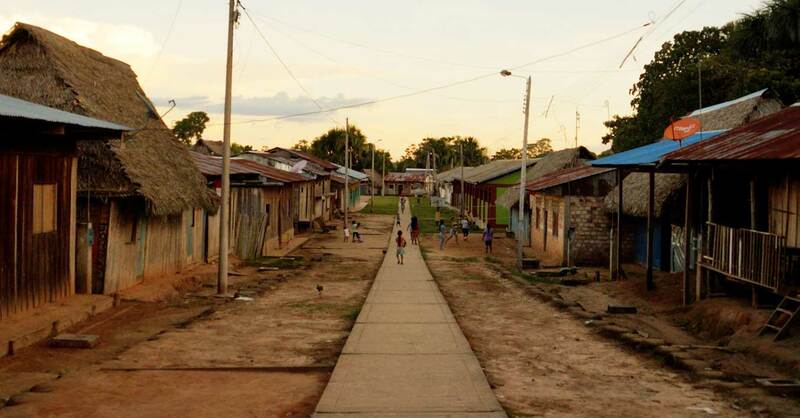 Jamner is one of the more than 120,000 listeners of “Bienvenida Salud” radio show who live in the most remote communities of the Peruvian Amazon. 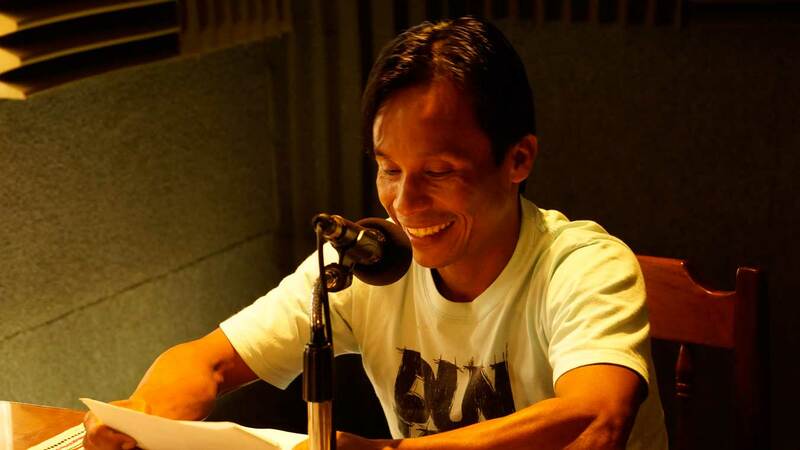 Till date, “Bienvenida Salud” has received over 40,000 letters from listeners, which have been used to create content for each radio episode, addressing the biggest social and health problems affecting the Amazonian communities, such as domestic violence, HIV/AIDS, endemic diseases, equity gender, cultures’ preservation, deforestation, and others. to live in a safe environment and free from violence by listening to “Bienvenida Salud”.